To Stay ahead in the ever challenging marketing world, it is important for you to break through all barriers. When other marketers are busy trying online and electronic mode of marketing, you can easily stay ahead of them by using offset marketing tools like roller banners. These Roller Banners are available in various sizes and are printed with any design on quality PVC material. As a matter of fact, Quality roll up banner printing makes them visually very tempting and leave a powerful impact on the users. Not only they add value to your display advertisement but tempt the potential customers to find more about the product and service, which leads to overall improved conversions. Instant Roll up banners is manufactured from the sturdy material which improves their lifespan and can be used again and again. PrintYo offers Same Day Roller Banners Printing In London, which is an effective offset marketing tool. 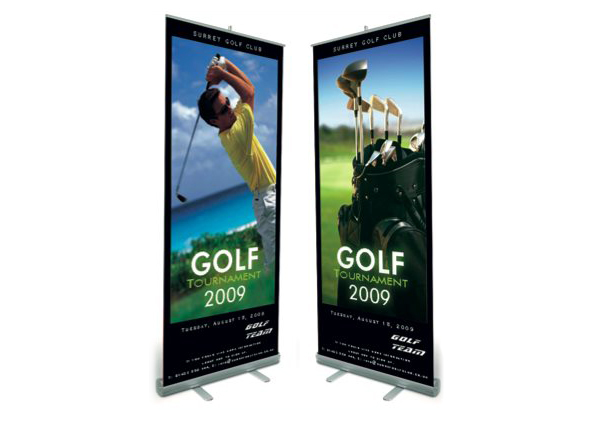 These Roll Up Banners are supplied with a graphic panel in a compact roller case to provide ease in carrying and transporting. Our customer support service is available 24/7 to assist customers who are looking for 24 hrs roller banner, brochure printing, flyers, paper posters and booklets printing services. Our Roller Banners Printing services are as low as £25. Reach us at 0207 993 5898 for all kind of printing solutions which available at competitive pricing. You can even email us your specific print requirements at [email protected]. We’ll get back to you at the earliest.